About 80 Tamil Nadu farmers shouted slogans against the state lawmakers, calling the salary move "shameless" and describing their own condition as "worse than beggars". Tamil Nadu beat themselves with flip-flops to protest the salary hikes of state legislators. 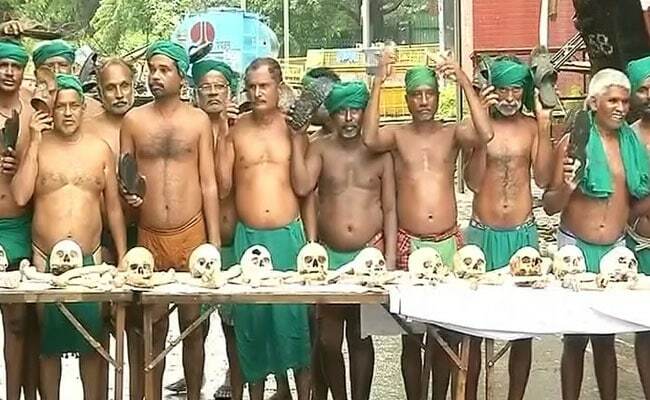 New Delhi: Tamil Nadu farmers rallying in New Delhi to demand loan waiver and drought relief package on Thursday beat themselves with flip-flops to protest the almost two-fold salary hikes state legislators have given themselves. About 80 farmers shouted slogans against the state lawmakers, calling the salary move "shameless" and describing their own condition as "worse than beggars". "Farmers do not have food to eat or money to survive due to prolonged drought in our state. Instead of taking steps to provide them relief, our MLAs chose to increase their own salaries. We have been left speechless by their shameless action. We condemn it in very strong words," farmer leader P Ayyakannu told IANS. The President of the National-South Indian Rivers Linking Farmers Association said the farmers were agitated by the "shameless" decision of the Tamil Nadu legislators to hike their own salaries. The legislators on Wednesday approved a hike in their salaries from Rs 55,000 to Rs 1.05 lakh per month, apart from an increase in MLA Development Fund from Rs 2 crore to Rs 2.5 crore. They want Rs 40,000-crore drought relief package, complete loan waiver, compensation for agriculture produce, crop insurance to individual farmers, and linking of rivers to address water crisis in Tamil Nadu. 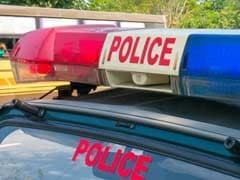 Three months ago, these farmers had grabbed nationwide attention by holding protests while donning garlands of human skulls which they claimed were of dead farmers, holding mock funerals, shaving their heads, holding snakes and mice in their mouths, stripping outside the Prime Minister's Office and threatening to drink their own urine.